A romantic holiday calls for a pretty pink drink. 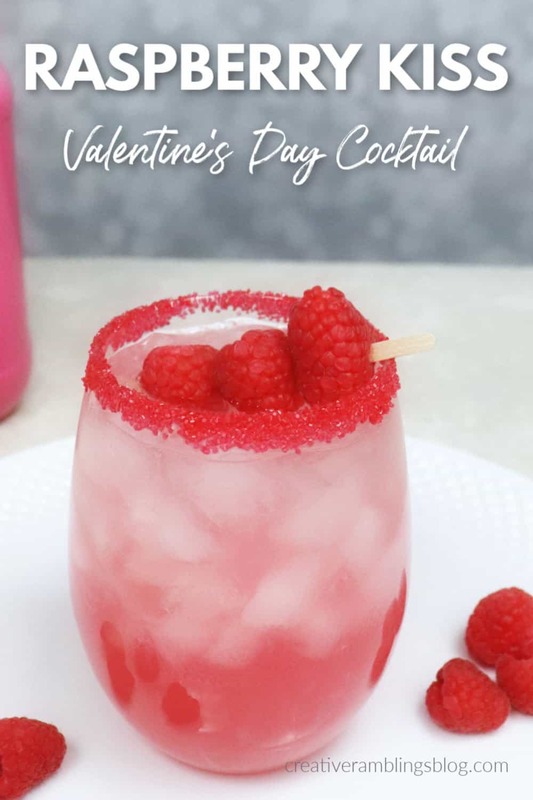 This raspberry kiss cocktail is the ideal drink for your Valentine’s day, it’s super easy to make and combines pink and red hues to compliment whatever chocolate you may be indulging in. Read on for the full recipe and 7 more Valentine’s day cocktails. Plans for Valentine’s Day vary, but I can assure you this drink will fit your night whatever it has in store. It goes well with chocolate and a movie, or as an after dinner drink. My Valentine’s day will be spent at home with my husband and kids. We’ll have a regular family dinner probably prepared with the help of my daughters and I guarantee it will include a special dessert. 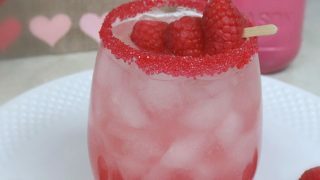 I plan to make this raspberry kiss cocktail for my husband and I and serve the girls some pink lemonade with the same garnish. We can all enjoy a fancy Valentine’s Day drink! 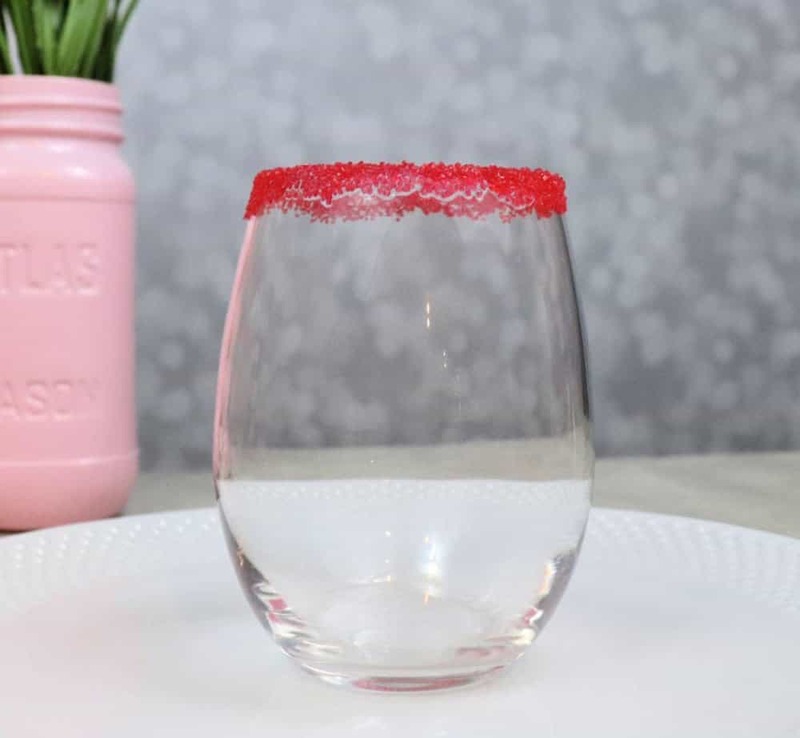 To garnish this raspberry kiss cocktail I rimmed a glass with simple syrup then dipped it in red sugar. 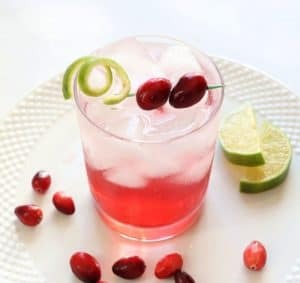 This is a simple way to garnish and drink with or without alcohol, kids think it’s really fun! Pour a small amount of simple syrup onto a plate then roll the edge of an empty glass in the syrup to coat. Then dip the edge of the glass into red sugar. Fill the glass with ice and add raspberry lemonade and vodka, stir to combine. Garnish with a skewer of fresh raspberries. If you are ready to wow a special someone this Valentine’s Day, or just looking for the perfect pink drink to enjoy on your own, look no further. 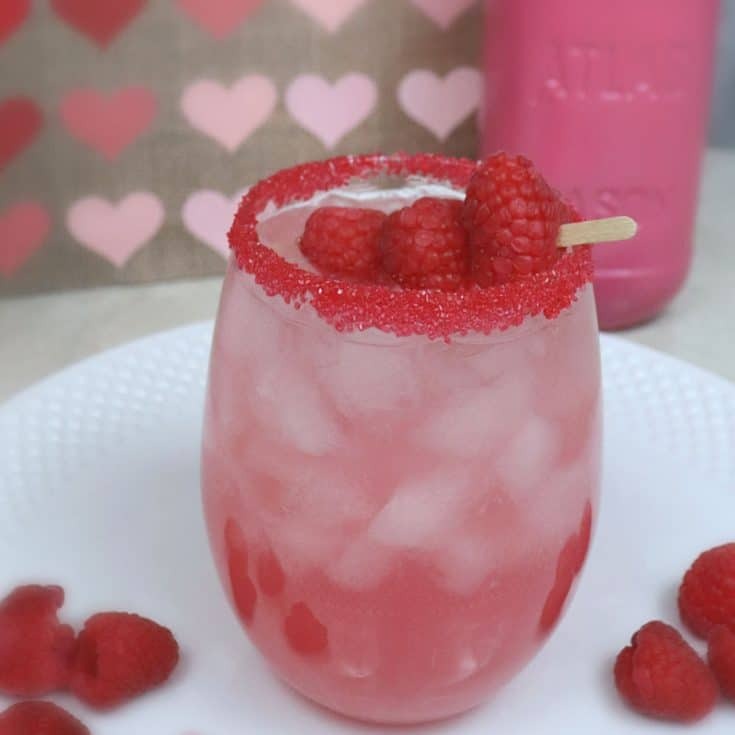 Below are 7 more Valentine’s Day cocktail recipes you are going to want to try. Be sure to pin this and save the recipe. This sounds so yummy & the red sugared rim is so pretty! I love raspberrry lemonade!!!! This sounds so good. Thanks for the recipe. I love the look of the red sugar! Sounds delish.